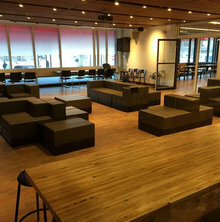 Oi Furniture Inc. (Oi) designs, manufactures and markets fun, easy, and eco friendly furniture for the education, office, hospitality, health, and rental market sectors. Fun. Easy. Eco. 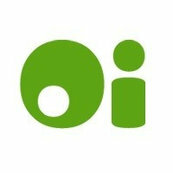 These are the values that underpin CellularTM by Oi. 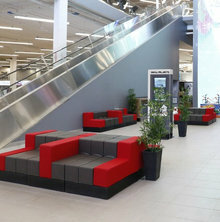 Having been installed in commons and lounge areas across North America, early adopters marvel at how fun, flexible, scaleable, creative, and colourful their environments have become since their installation. Cellular not only evokes creativity and collaboration, but also reminds people about their day-to-day choices as it pertains to their environmental footprint. 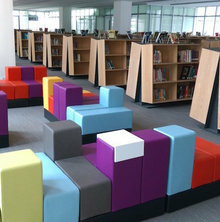 Constructed from 100% recyclable moulded plastic, moulded foam, and individual cushions slip covers there is minimal waste at the beginning and end of this modular systems life. Made in Canada, the attention to quality material and construction is second to none and built to endure the wear of high traffic environments.